Glenn Yost was employed with the City of New York for twenty years. Mr. Yost was an adjunct professor at St. John’s University in the Criminal Justice Program. He was also a teacher at St. Joseph by the Sea High School in their History Department. Mr. Yost has been a Candidate for New York State Assembly and currently he is Assistant Counsel to State Senator Andrew Lanza. Mr. Yost is a well respected attorney on Staten Island. Known for having a calm demeanor but a stern presence in the court room. 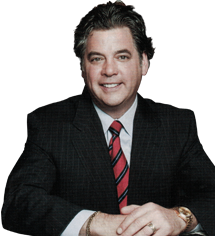 Mr. Yost has handled a wide variety of Family Court Matters, Matrimonial Actions and Criminal Court Cases. His philosophy when dealing with his clients is to provide compassionate and sound legal advice, where every single client knows that their case is as important to him as it is to them. Keeping clients informed and updated about their legal issues has kept many Staten Island families returning to our office for generations.